This party favor is completely over the top, providing a classic look with a new twist. 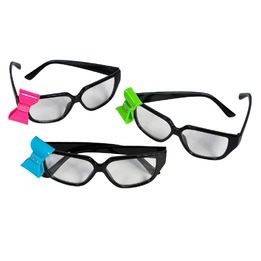 These nerd glasses feature a large bright bow on the corner of the frame. Pass them out at your next bash.